In the realm of urban myth and historical inaccuracies, there is a quote passed down in time that may, or may not have actually been uttered by Marie Antoinette in France during one of the famine that occurred during the reign of Louis XVI. Having been told of widespread peasant suffering and hunger, the Queen “allegedly” replied “Let them eat brioche!” This was a poor man’s bread enriched with butter and eggs. The loose surviving translation was “Let them eat cake!” The crux of the story survives to illustrate the detached attitude of the privileged, and powerful toward the lower classes. It’s not as ancient history as some may think. Let just take one small modern crumb of that cake; Student Loans. Recently, Senator Elizabeth Warren has been the main voice of opposition to unfair, and costly interest rate hikes on student loans. 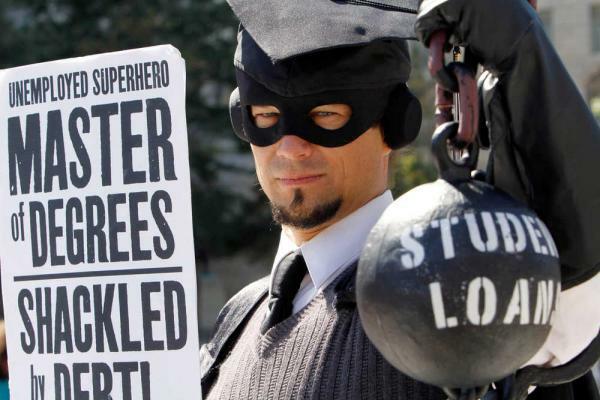 To begin with, in recent years, the interest rate on student loans was 3.4%. The Senator claims even that rate is too high. The Federal Reserve loans big banks money at the rate of 0.75%. Warren states that by giving students a lower interest rate; the same as big banks in fact, more students can afford college, thereby “investing” in America via a better educated work force, which will only grow the economy and keep the United States as a leader in technology, innovation, and economics to name a few areas. For those disappointed that the Senator’s idea will never reach fruition in terms of equated student interest rates with those of big banks, you better buckle up; it’s about to get worse. Student loan interest rates were to increase in July …….except for Senator Warren, and a few others like Jack Reed, and Sheldon Whitehouse from Rhode Island bucking not only the “other side of the aisle,” but their own party. The new rates were slated to increase from 3.4% to 5.41% with a cap of 9.5% for graduate students, and an increase to 6.41% with a cap of 10.5% for parents who borrow for their children. If the gravity of these numbers evades you at the moment, bite down on this one; using the new rates over a 10 year period, the government is scheduled to make a profit of $184 BILLION! Years ago, I paid off my student loans. I needed them on top of a shoddy G.I. bill that I invested in similar to a 401K plan. That plan was revealed as the junk it was, and subsequently scrapped. When starting out in “my early career life,” the little money I borrowed, and had to repay might as well have been $184 billion……it was not easy. It’s because of my experience that I can advocate for better rates for students, and parents. Years ago, a larger pool of unskilled workers was abundant, and then two funny things happened. The vast pool of immigrants who were the back bone of that work force after coming to this country, wanted something better for their children. They preached hard work and encouraged their kids to strive for a better life; and they did with a college education as the crux of that better life. So why not just get the new immigrants to do the jobs in their place? They could if the U.S. didn’t have such a failed immigration policy. The U.S. is not only losing out on the herd of fast food armies, but engineers, technicians, and other skilled workers not allowed to obtain work, and school visas much less paths to citizenship. The middle class is hanging on by a thread, and the gap between rich, and poor grows exponentially. Again; read up on recent banking history if any of this seems fuzzy. You may not believe any of this, but don’t be surprised if one day you wake up and your “cake” taste like a Big Mac. Looking back, I can’t believe I was stupid enough to fall for pay-it-later higher education. I thought I was being smart by going to community college the first two years and then only going into debt as much as I absolutely had to, but it hasn’t worked out. Three years later and with no other expenses besides a car (until recently anyway) I still owe money. The only good thing I have to say about these loans is that all the interest is tax-deductible, and who knows when they’ll stop that.